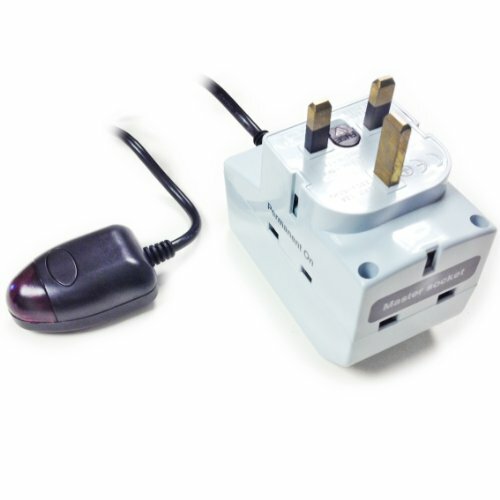 Energy Saver Intelligent Power Saving Stand By Shut off Power Down Plug 3 way Surge Protected Uses your TV remote to shut off all your electricals at night saving you money. This TV PowerDown automatically switches these TV peripherals on and off when you turn your TV on and off. It learns to recognise the signal from your television remote control. This enables it to activate your television automatically into standby mode whenever you are ready to use it. And when you have finished using your television you switch it off in the normal way using your remote control and the TV PowerDown does the rest! – Auto-calibration system will only switch your boxes on/off when appropriate. At the right time, every time. 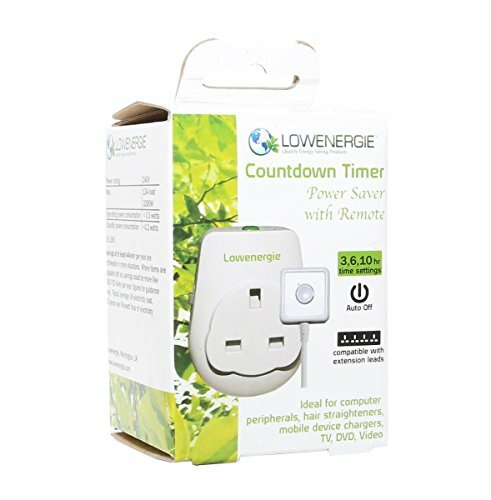 Lowenergie Countdown Power Saver helps you to save energy,reduce your bills and protect the environment. 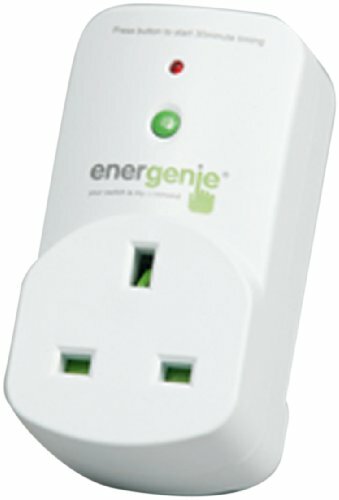 This device can have great potential to turn off equipment which may accidentally be left on for long periods or overnight. 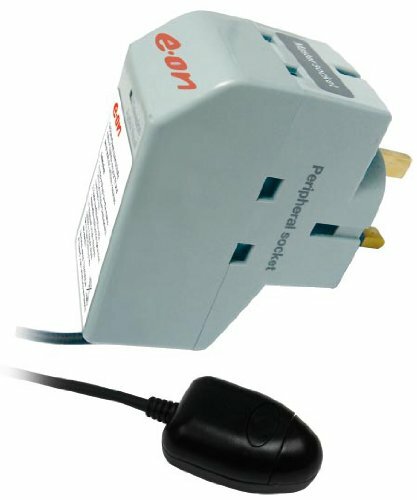 Multi socket extension leads can be plugged into this power saver to allow four or more devices to be fully disconnected from the power. Remote wired version supplied with a 2 metre long cable with remote switch on the end which can be conviniently located in a easily accessible location where sockets maybe located below a deck or behind furniture.